“Shape up Saturdays” Bring your dog to get exercise in our underwater treadmill! The resistance of the water increases cardiovascular output and more calories are burned in a shorter period of time. Every Saturday from 8 – 11:30 am. Cost is $25 for a 30-minute session. Call to speak to one of our receptionists today and book your appointment! If you can’t wait until then, currently we have limited availability during the week for sessions. 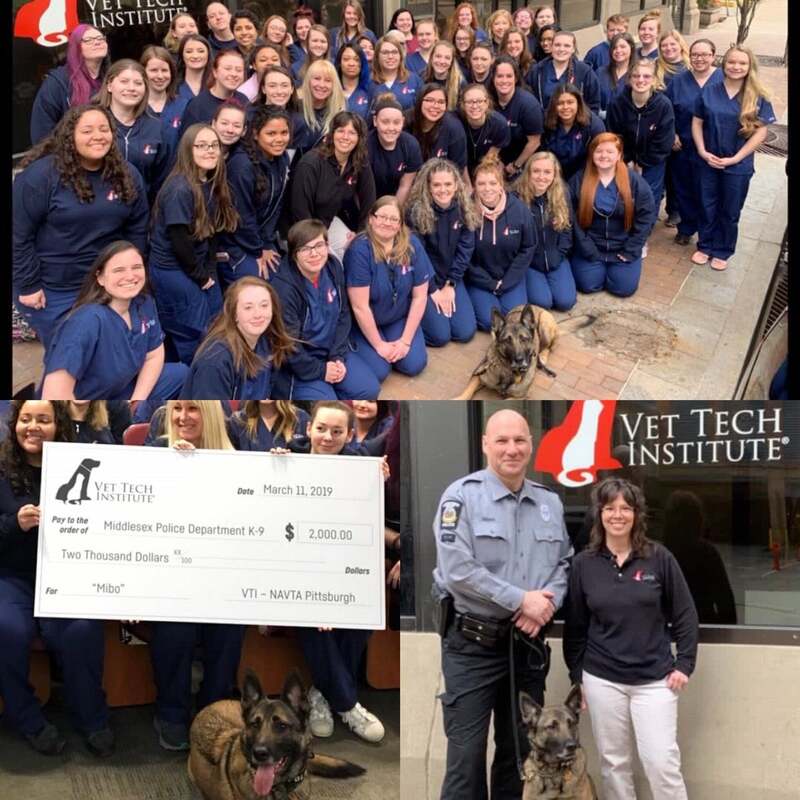 We want to acknowledge and personally thank Lisa Szafranski and the students of the Vet Tech Institute of Pittsburgh (pictured below) as they presented a generous check to our local K-9 Mibo and Officer Mark Heider, Middlesex Police Department. National Association of Veterinary Technicians of America (NAVTA) raised money through multiple fundraisers and events to support K-9 Mibo with a body camera for his vest! Great job VTI! !